Blog » Are you aware of flouride varnish? Are you aware of flouride varnish? 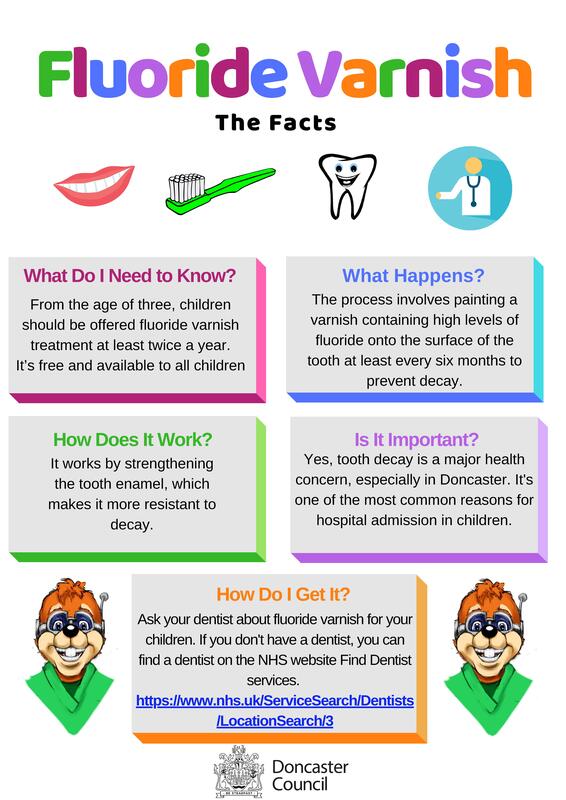 According to Public Health, lots of children in Doncaster show signs of tooth decay. In fact roughly 1/3 of all of our children. 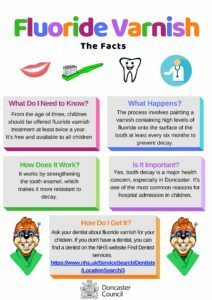 Not all parents/carers are aware of flouride varnish, which is one way we can help to protect our children’s teeth. Flouride varnish can be applied to both baby teeth and adult teeth by a dentist. The process involves painting a varnish containing high levels of flouride onto the surface of the tooth every six months, to prevent decay. It works by strengthening tooth enamel, making it more resistant to decay. From the age of three, children should be offered flouride varnish treatment at least twice a year. Flouride varnish should be offered two or more times a year for children of all ages with tooth decay or those at high risk of developing it. Be sure to ask your dentist about flouride varnish.